Being the mom of 2 wildly busy boys I often find quite interesting photos on my camera! My 3 yr old loves to take pictures of everything...I mean everything! My 5 yr old loves to pose with his latest creation so it all works out quite well for both of them! Here is a picture I found when downloading the pictures for today's post. Jacob did quite well with his photography skills on this one! 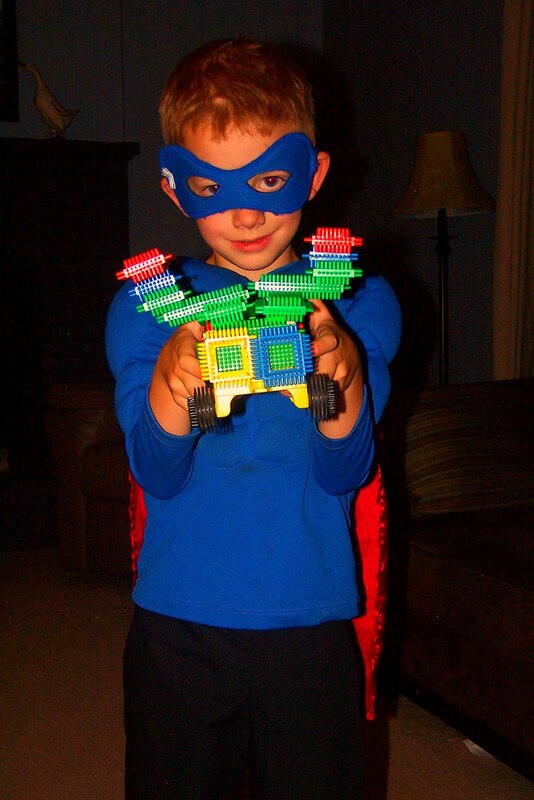 We always have one super hero or another popping in on us through out the day here and he captured this one of muscle man quite well! There were more...way more. Mostly of the disturbingly messy basement. Due to their graphic nature I chose to delete those rather then share them!! 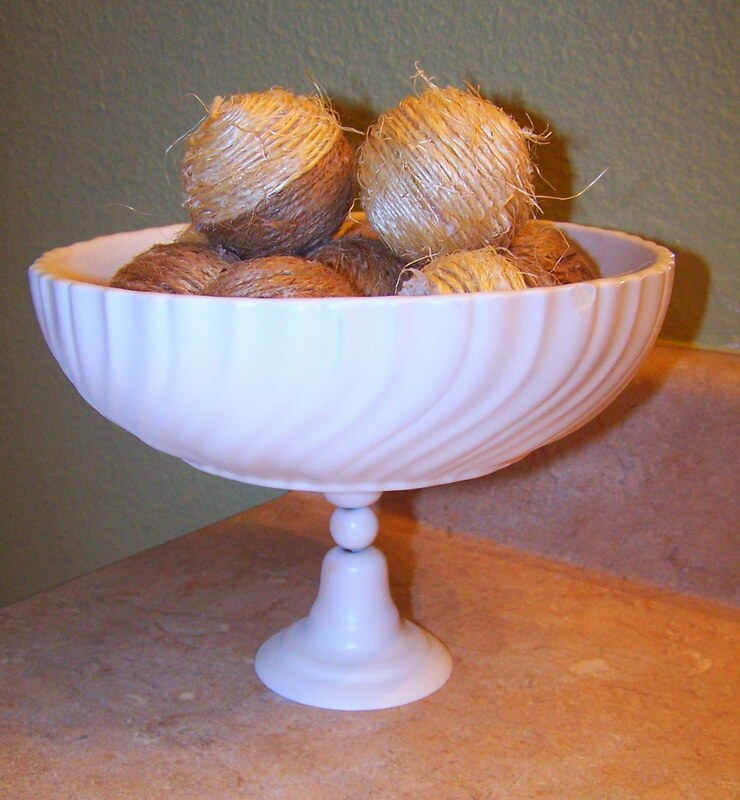 I have been looking for great filler balls for some of my dishes around the house and about dropped in the isle when I saw 1 ball was 4.99! Seriously! It would take me forever to fill one bowl! 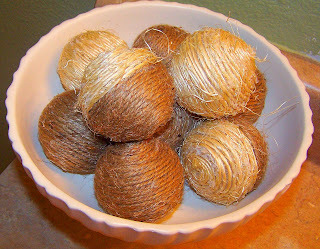 So I picked up some Jute and Hemp and various sizes of Styrofoam balls and went to work. I wrapped each ball with Jute, Hemp or a mix of both using hot glue. 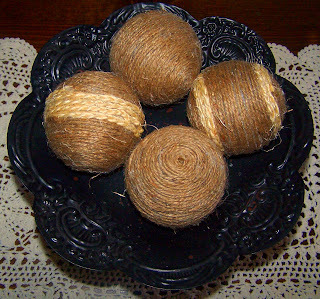 Jute is thicker and quicker to wrap then the hemp so I only did solid hemp with the smaller balls. 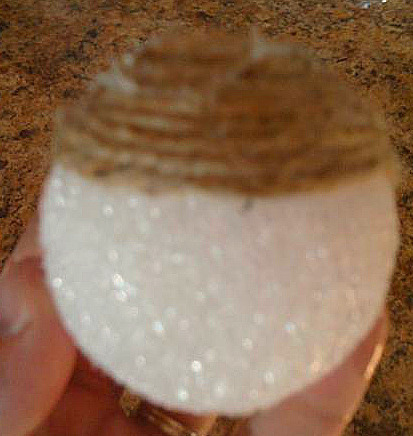 On some of the bigger ones I made some hemp braids and add those just on the ends or middle. I will add one cautionary note: This burns the stink out of your fingers! I did discover that my thumbs are much tougher then my finger tips! Yikes! Those are a really interesting spin on the one color twine balls in blog land. They look really good.